In the midst of the Southern Pacific, a new wonder awaits those seeking the most magical of desert island experiences. 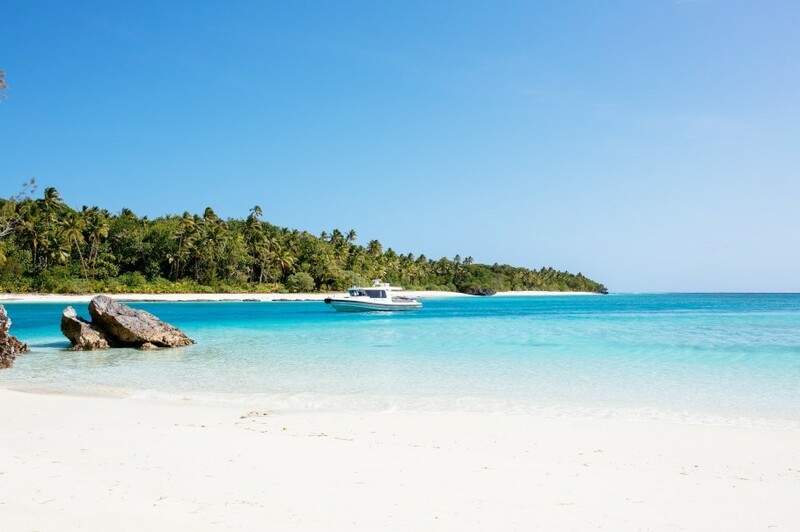 Redefining our perception of a remote paradise, the isles of Vatuvara are steeped in the kind of natural beauty conjured up by only our wildest imagination. Set against a swathe of iridescent blue and turquoise hues, the small group of islets are surrounded by flawless white sandy beaches on almost every side, while the mainland is peppered with rich flora and tropical fauna seldom encountered anywhere else in the world, and has for centuries remained an isolated jewel of the Fijian archipelago. When Jim Jannard - the founder of both Oakley and RED Digital Camera - bought the island back in 2009, he envisioned his Vatuvara experience to echo the relaxed nature of the native Fijian people while simultaneously capturing the overall serenity of the surrounding region. 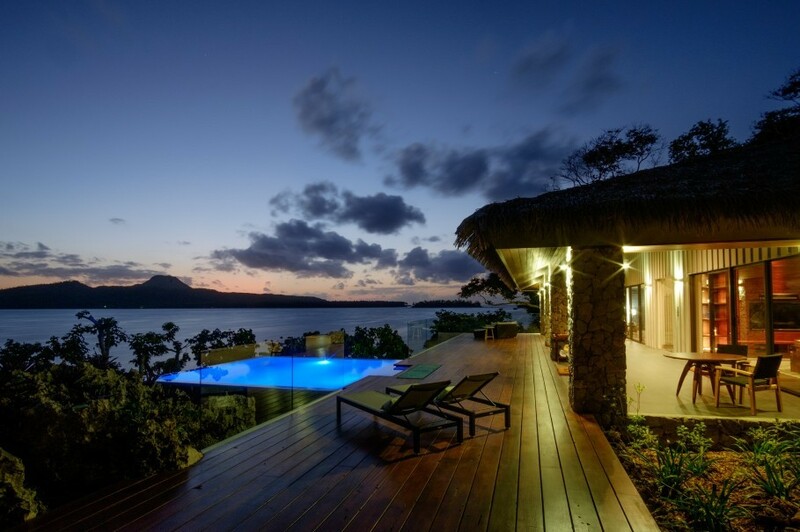 Intimacy was high on the agenda, and accommodation reflects this through the form of three independent villas, Villa Delana - the largest of the three - Villa Vatu and Villa Saku, and can either be booked collectively or individually. 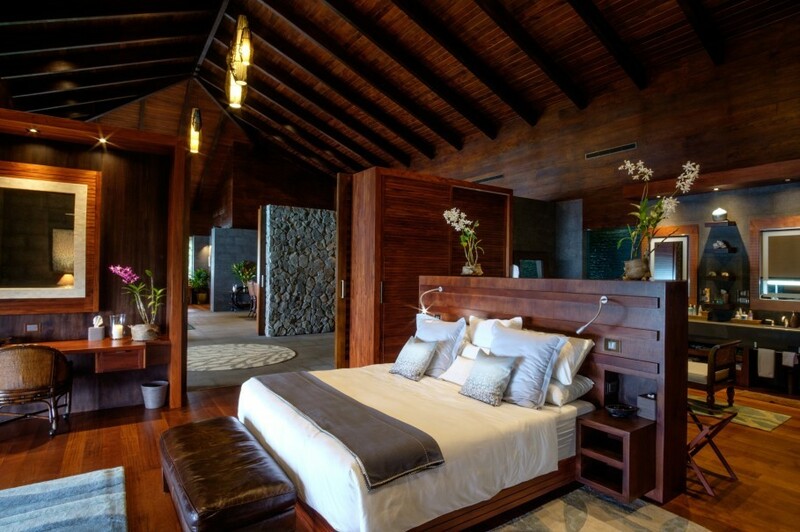 Each villa is equipped with state-of-the-art facilities, yet remain gratifyingly authentic through the presence of traditional South Pacific decoration and architectural features. Every room is proportioned in favour of a spacious, harmonious atmosphere, while particular highlights include a bionised heated pool overlooking the ocean, a dedicated spa area and stunning outdoor entertaining veranda within the courtyard. Outside, the island itself begs to be explored. An impressive network of footpaths and roads were all created as Jannard gave the landscape a complete yet careful remodelling in order to preserve and encourage the natural habitats native to Vatuvara, resulting in a user-friendly jungle adventure teaming with tropical rarities. This show of natural aura continues below the surface, too, as flawless coral reefs sweep across the shallow water; their inhabitants dazzle as they flaunt electric combinations of pattern and vibrancy. Guests are actively encouraged to ‘kit-up’ and explore this sub-aquatic spectacle, while trips to venture further out in hope of catching sight of dolphins and whales can also be arranged upon request. Indeed, the sole decider of your ocean orientated amusement is the particular mood you happen to wake up with; whether you prefer a blissed-out meander on a paddle board one day, or feeling more like tearing around the island on a jet ski the next - virtually every desire and whim is catered for. Such aqua-aerobic endeavours may well persuade you to pay a post-paddle visit to one of the island’s divine restaurants. Luckily for you, the locality and freshness of Vatuvara’s cuisine was a major priority for Jannard. Many gardens and orchards have been cultivated to produce a whole range of fruit and vegetables, while similarly the catch of the day brings in a diverse and plentiful array of fresh fish, leaving guests confident of the source of their expertly crafted culinary delights. Jim’s Bar & Grill has got relaxed brunches down to a tee, while Head Chef Osea Moko, formally of Wakaya Club, also in Fiji, has filtered his forty-year experience in Pacific Rim cuisine into the elegant Valhalla Restaurant with innovative effect. This place deserves a visit. NINE is a private concierge club, providing tailored travel and lifestyle solutions to individuals and families across the globe.